Everything you see, on this site; was made by Gary L. Barnes. 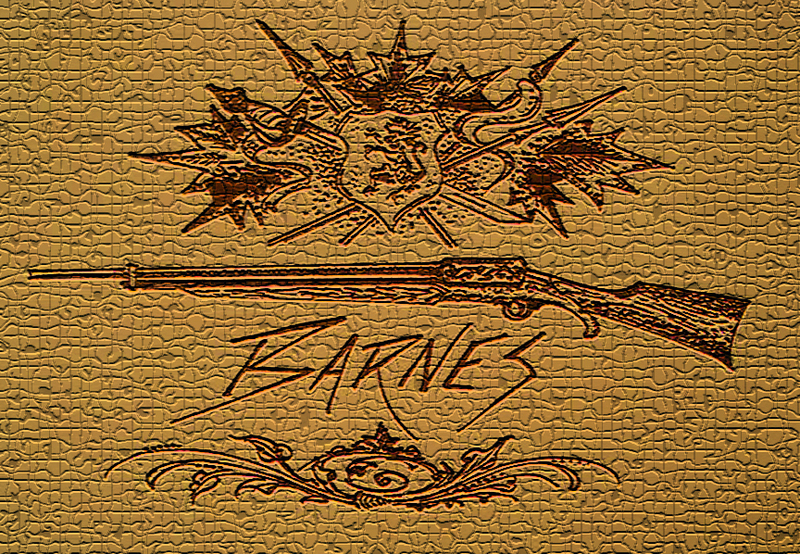 Every part, of each item, was crafted by Mr. Barnes, alone. The rifles are operated by compressed air. There are no firearms shown on the site. Following, I will show you some examples of my work. That does not mean these items are available, or that they may be ordered. Being of the artistic makeup, I detest repetition. I have so many new ideas, that I can only make a small percentage of them. 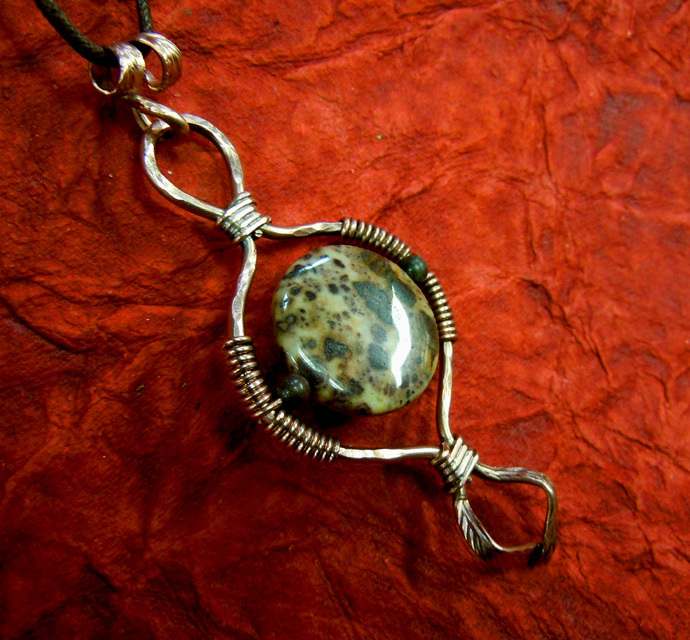 Therefore; there is always something new and interesting coming along, in the shop. Made approx. 1/2000 ... it harkens back to the late 18th century. I received a Master Bladesmith's Rating from the American Bladesmith's Society, in Oct. 1983. I was the youngest (at the time) to ever receive such. I occasionally make a fine pocket knife. 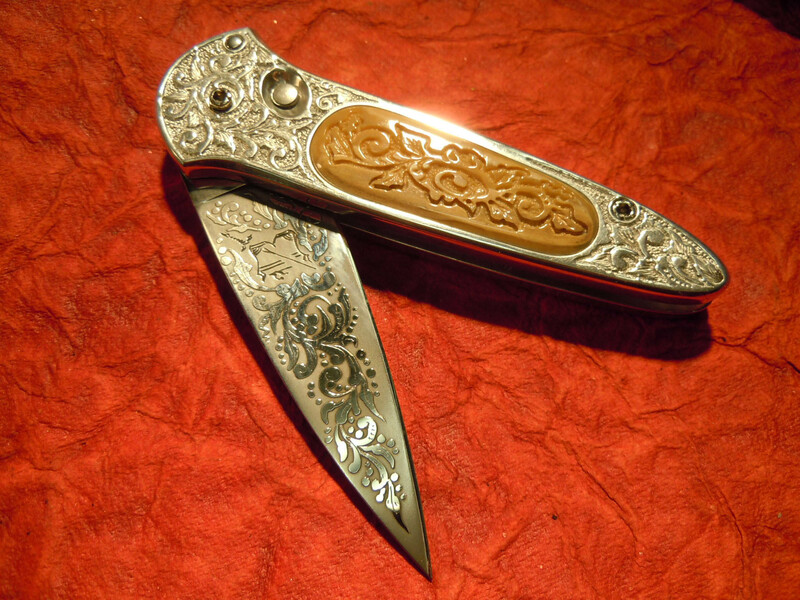 This one features a button lock mechanism of my own design, deep relief carved Wooly Mamoth Ivory inlaid scales, Acid Etched blade, and Relief Carved billet case. My clients who enjoy my air rifles, seem to also enjoy other items I make. I recently made these "Expedition Cases" from German Silver sheet stock. 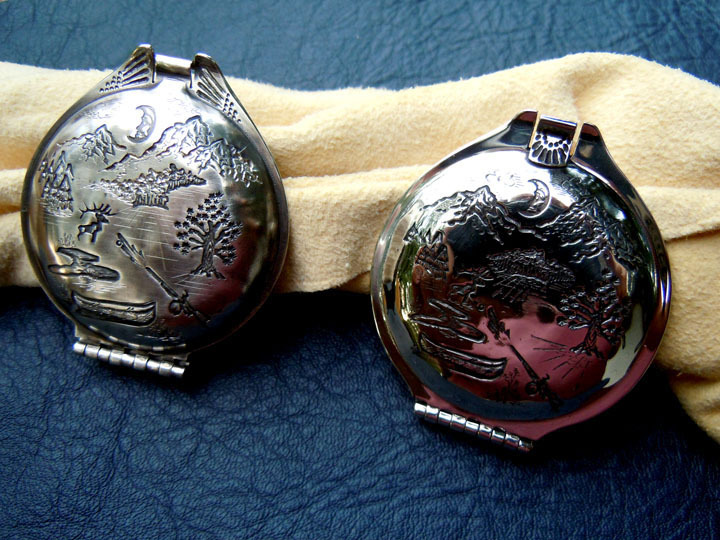 They are about the size of a large pocket watch, and snap closed securely. Everybody has something they need to keep in one of these! 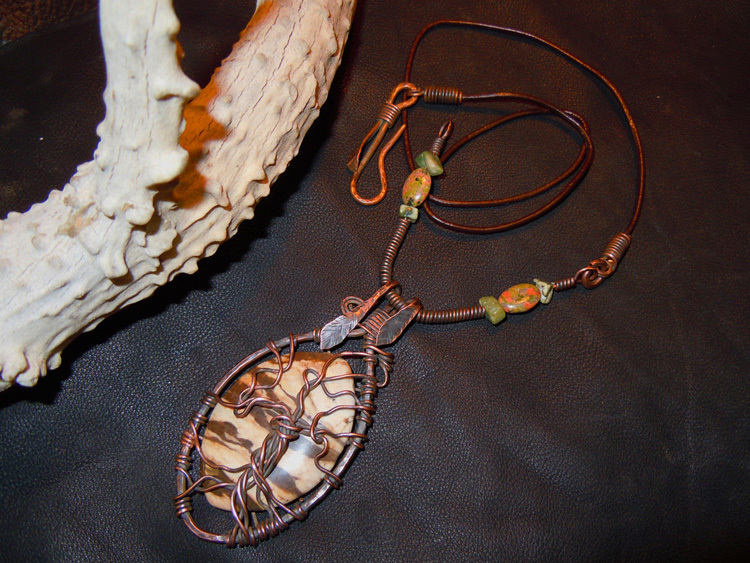 I occasionally make some jewelry. 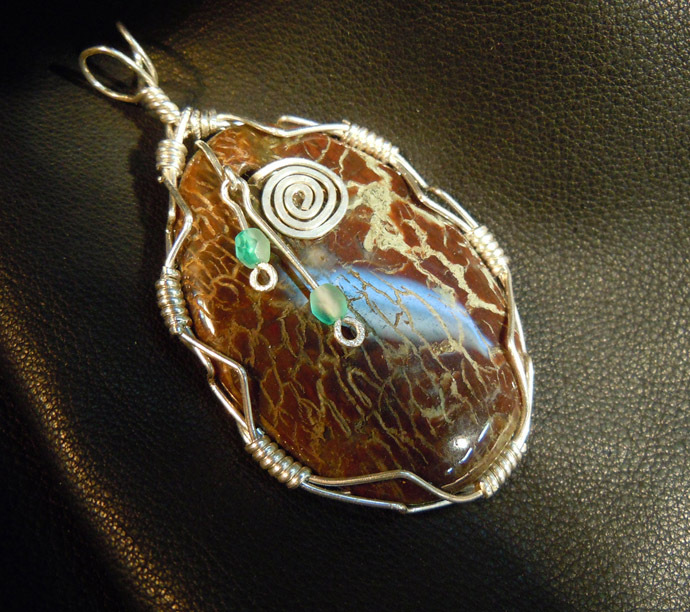 This is a Sterling Silver wire wrapped stone, with whimsical detail. Getting back to the rifles .... this is the "Timber Wolf". An extremely powerful 46 caliber I made in 2010. 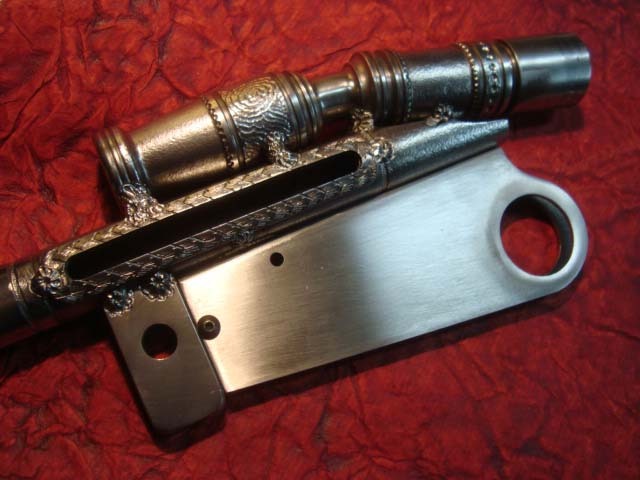 It features deep relief carving on the stock, and is made to suggest a historic long gun. I'm not limited to the lines of the past. This is a very powerful 8mm long range target rifle, called the "Prairie Hawk". Made in 2010, it will really reach out. It's bold with it's color laminated stocks, and hard color anodized billet machine work. How far will they reach out? 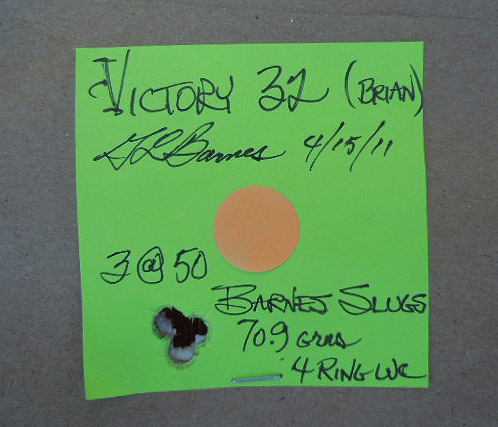 At the range, in 2011, my friend Jerry, decided a groundhog had overstayed his welcome. 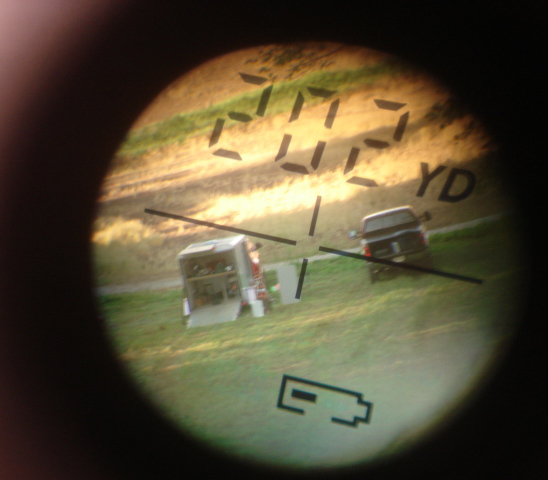 I took this pic thru my rangefinder, from the spot where the groundhog met his expiration date. Jerry was shooting a Woodsman 62, with a 32 caliber insert. I'd made that rifle for him about 6 years ago. We occasionally plan invitational shoots, at various locations around the lower 48. These are the Barnes PCP rifles which showed up for the "Cajun 2 Cup" shoot, in Mississippi last year. I made each of these. You can see that there's not much repetition exhibited. We enjoy sharing our sport with our children. Don't bet against Miss Emily here. She's a crack shot, and extremely well educated in range safety. Relief carving, and engraving, is not limited to the stocks alone. These are parts for an extremely powerful 62 caliber Yukon I made in 2009. Whimsy extends to 87 caliber monsters, such as "The 87 Dragon". 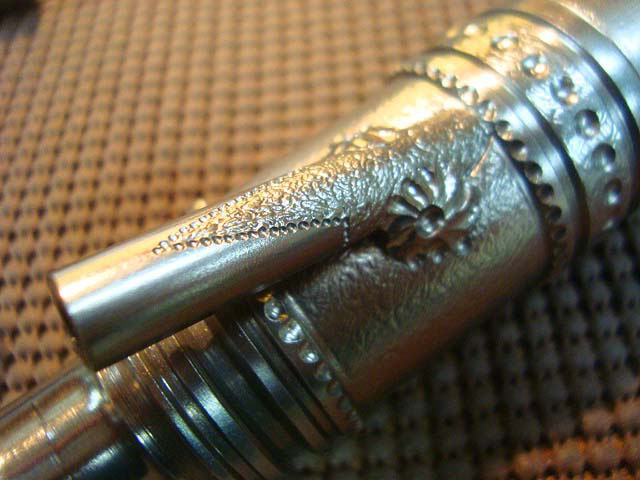 The gun featured dragon scale two tone finishes, and carved detail to carry the theme. At approx. 850 foot pounds of muzzle energy, this one will set you back in your seat! 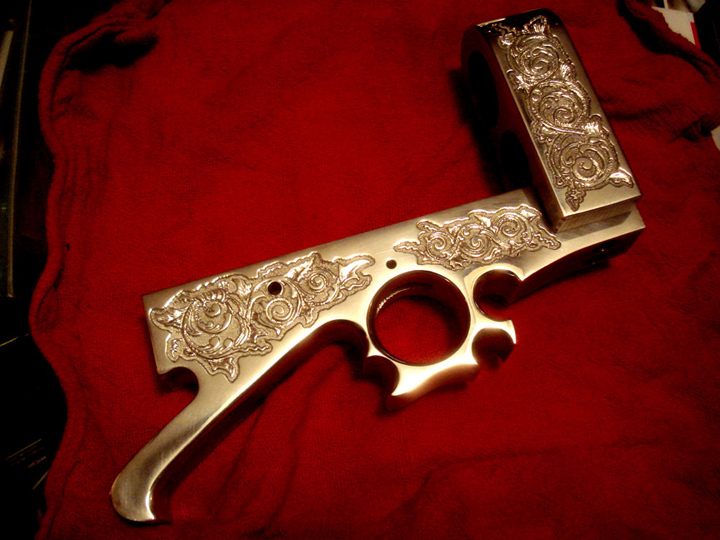 The 46 caliber Nitro Express Magnum. This rifle is currently turning heads in the Roanoke, Virginia area, at shooting ranges. It's owner tells me that everybody is quite amazed as it reaches waaaaay out and nails targets with extreme accuracy. I could go on for some time, but I just wanted to give you a taste of what I do. Let's get down to details of how people acquire pcs. such as these. I'll explain as briefly as possible. Now; that said, I'm working thru a bunch of orders that I took as we were sorting out the details of my health, and how to treat it. In the past 4 years, I believe I've only accepted orders for about 4 weeks total, on two occasions. BUT ... don't dispare. Obviously, the business must go forward, as I work. I continually complete previous orders, and occasionally make a side pc. for sale. 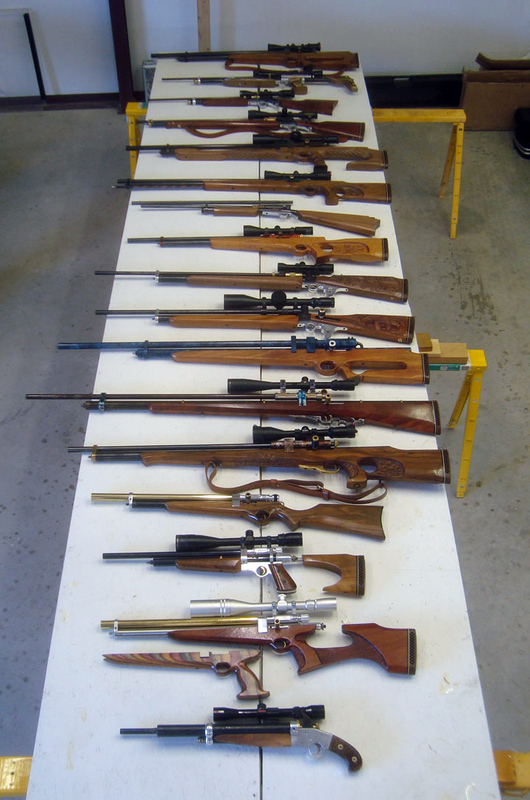 I maintain a very civilized forum called "Airgun Rendezvous" where my customers and friends, discuss my work, and our shared hobby of airguns. Please join us. On that forum, there is a special section called "Gary's Gun Room" ... which will list any items which are currently for sale. In addition, this page is just the cover sheet for hundreds of previously constructed pages and thousands of photographs of my work, and range sessions. Here are a few previous title pages, which featured a lot of detailed work. I include links here, in order that folks can find their way around the previous site. 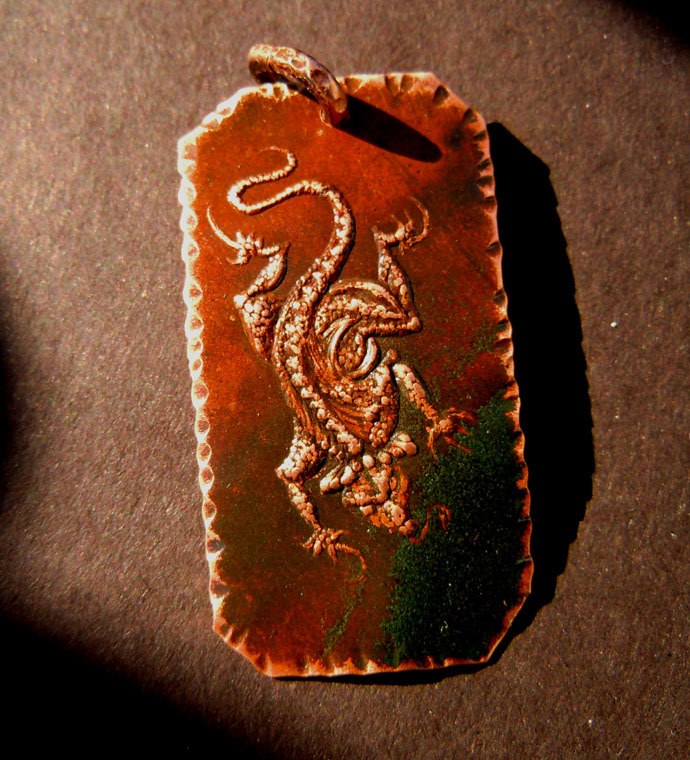 Some of my pcs., require extensive steel carving to create the personality I want in the work. These two pcs. are part of one of my "Bison" models. There is a lot to review. I hope you enjoy it. Should you wish to contact me, I do 99.9% of all business by e-mail. I answer promptly. I prefer this method as it suits my work methods better. 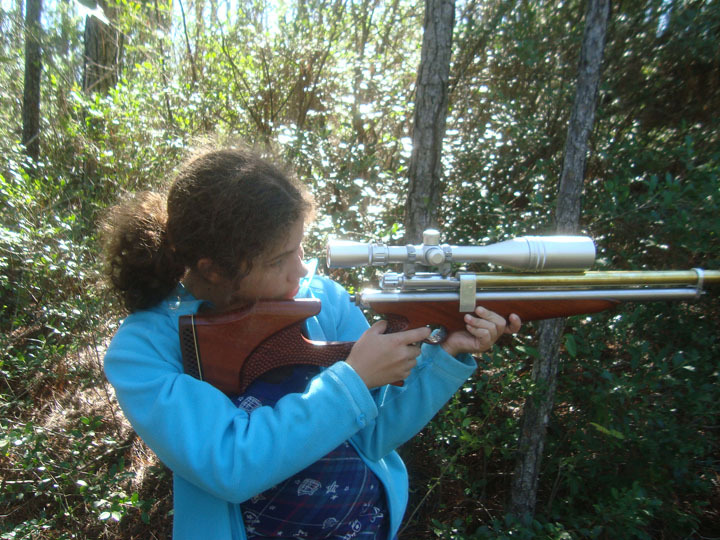 If you have the time, and are so inclined ... this page (written when I began making airguns) is as close to a "Mission Statement" as I've come. I began making custom furniture, at 19 years old, in 1974. I followed that with a career in custom knifemaking. By 1996, I was ready to move on. Here's "Why". If you'd like to see more completed guns quickly, one of the forum sections is called "Gary's Galleries"